In a Fox News interview with White House chief of staff John Kelly on Oct. 30, 2017, the former marine general said that “the lack of an ability to compromise led to the Civil War”. Kelly’s statement set off a firestorm of impassioned responses across traditional and social media about the cause of the Civil War and the history of slavery and compromise prior to this seminal event. 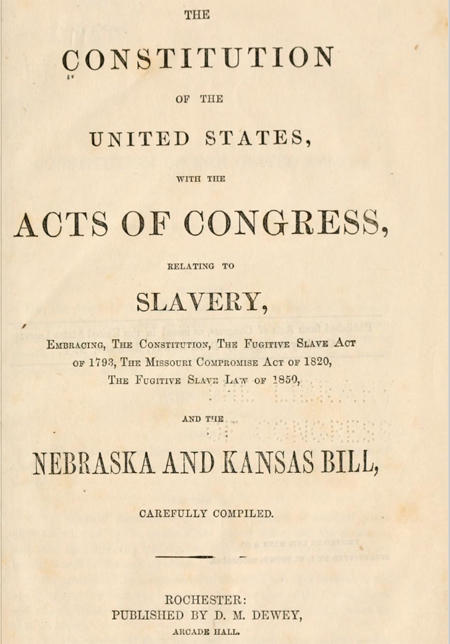 Read some of the contemporary articles, review background information about compromises over slavery prior to the Civil War, then dive into primary sources to put the pieces of the story together for yourself. What new understandings of history and of today do you come away with? What civic actions might these understandings prompt you to take? Please use the Comments section to add thoughts, ideas, and links to additional articles you are reading and primary sources your are analyzing.